In This post, I will show you on how to install the PHP 5.4.4 packages on CentOS 6.2 using Remi repository. PHP: Hypertext Preprocessor is a widely used, free and open-source server-side scripting language that was especially designed for web development to produce dynamic web pages and can be embedded into HTML. 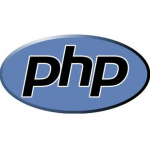 PHP applications are commonly found with the filename extensions .php, .php4, or .php5. PHP does not included in CentOS 6.2 with minimum type of installation. PHP: Hypertext Preprocessor is a widely used, free and open-source server-side scripting language that was especially designed for web development to produce dynamic web pages and can be embedded into HTML. PHP applications are commonly found with the filename extensions .php, .php4, or .php5. PHP does not included in Fedora 16 with minimum type of installation. You have to install it manually if you really need it. In this post i will show the quick step to install PHP on linux Fedora 16 server. This post assumed that you have set up local yum repository using your DVDROM and had installed minimal installation type Fedora 16. Simply run yum command to install PHP. Please note that this will only installed basic php with php-cli and php-common only.